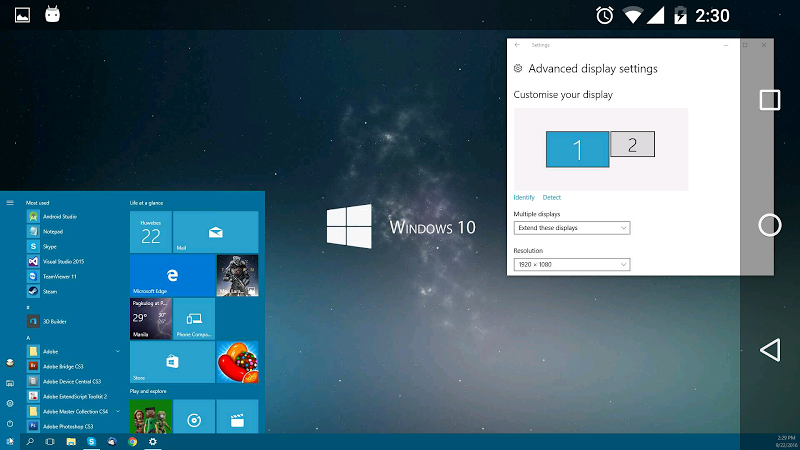 It turns your Android device into an additional display for Windows computers. 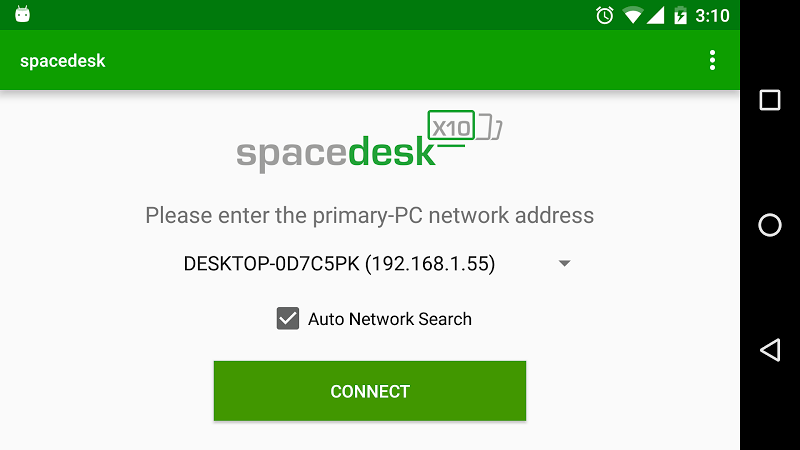 It operates as a server-client app and it requires a network connection (LAN or WAN) that has to support the TCP/IP protocol or a connection via USB tethering or a mobile hotspot. 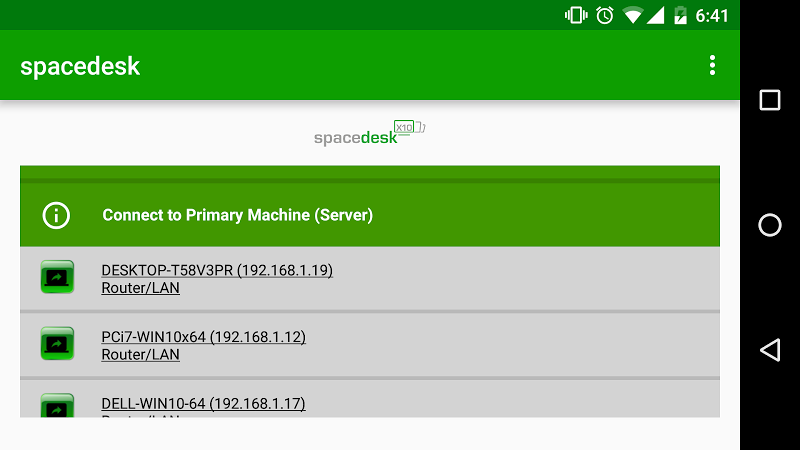 Customize the aspect of your Android device's display. Cast the Android device's screen to multiple Apple TV's and computers.